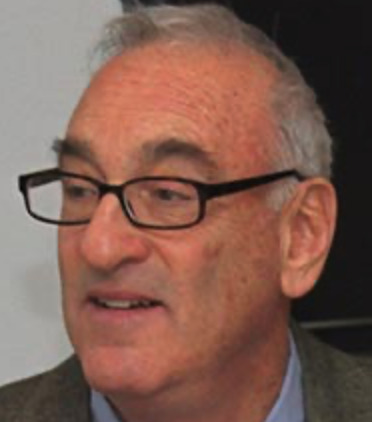 Charles Deutsch, Harvard University, ist im koelner institut Experte für 'Peer Learning & Peer Counseling'. 2008 war er in Köln als Gast von Dr. Dirk Rohr (mehr Informationen hier) sowie 2010 (als Gastprofessor am Zentrum für Hochschuldidaktik der Universität zu Köln); er wird 2014 ggf. wieder 'life' in Köln sein oder via videoconference an den Weiterbildungen teilnehmen. Dr. Deutsch focuses on the school as a health environment, and the abilities of young people to strengthen community health. His curricula and programs have been disseminated by the National Institute on Alcohol Abuse and Alcoholism, the U.S. Department of Education, and the Centers for Disease Control and Prevention (CDC). For more than twenty years his book, Broken Bottles, Broken Dreams: Understanding and Helping Children of Alcoholics, has prepared professionals and nonprofessionals to play early intervention roles. Dr. Deutsch is co-principal investigator and deputy director of the Harvard Prevention Research Center on Nutrition and Physical Activity (HPRC). Inaugurated in 1998 with support from the CDC and other partners, HPRC studies, promotes and evaluates scientifically sound school- and community-based interventions for children and youth to increase physical activity, improve nutrition, and prevent overweight and obesity. He is also principal investigator of the Maine-Harvard PRC, a partnership with the Maine Bureau of Health and Maine Center for Public Health. Current research studies the roles of early child care providers in influencing family nutrition and activity patterns. He is also founder and principal investigator of Partnerships for Children?s Health, funded by the CDC to promote strategic engagement of postsecondary institutions in improving the health of young people. Dr. Deutsch has long been involved in international health promotion. For the World Health Organization (WHO), he developed a comprehensive program in communication, supervision and leadership skills for primary health care and community health workers in East Africa. Since 1999 he has been working with the South Africa Departments of Health and Education to strengthen programs to prevent HIV infection among youth. He is principal investigator of a CDC-funded project to develop and apply rigorous national standards of practice for sustainable peer education programs in school, community, higher education, and workplace settings. As advisor to the South African higher education sector, Dr. Deutsch focuses on interactive HIV/AIDS education technologies, the integration of HIV/AIDS into professional training curricula, and the role of schools of education in preparing principals for multiple leadership roles in combating the pandemic and related gender violence. He has consistently focused on environments that promote the social, behavioral, and emotional dimensions of child and family health; systemic strategies for helping children and families isolated by stigmatizing conditions; and the roles in child and adolescent public health played by educators, other non-health professionals, and youth.